Pneumadyne engineers have developed a variety of custom pneumatic control valves for use in oil & gas and energy related applications. Our fluid power knowledge and expertise is an asset to equipment manufacturers as they are designing their pneumatic control systems. After reviewing the requirements of a fluid handling system, our engineers can define potential areas of improvement and often consolidate components into a single valve block or manifold system. Component integration eases system assembly, eliminates potential leak points and improves the overall appearance of a circuit. Read on to learn more about a Gas Pump Control that was developed for use in a wellhead or a plastic valve used in a sampling sensor within a mine. Contact our engineers to discuss the pneumatic control system in your oil & gas or energy application. 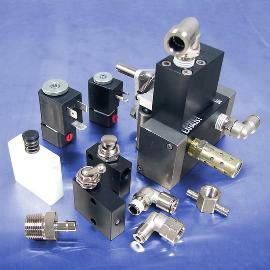 A wide variety of standard pneumatic products are also available from Pneumadyne for use in these pneumatic controls. Our multiple-station pneumatic manifolds are ideal for the distribution of fluids from a single source. Several port sizes are offered to accommodate plumbing requirements. Directional valves are available in a variety of configurations and feature numerous porting sizes and options to ease installation. Push-to-connect, barbed and threaded pneumatic fittings simplify the connection of pneumatic components throughout a fluid handling system. 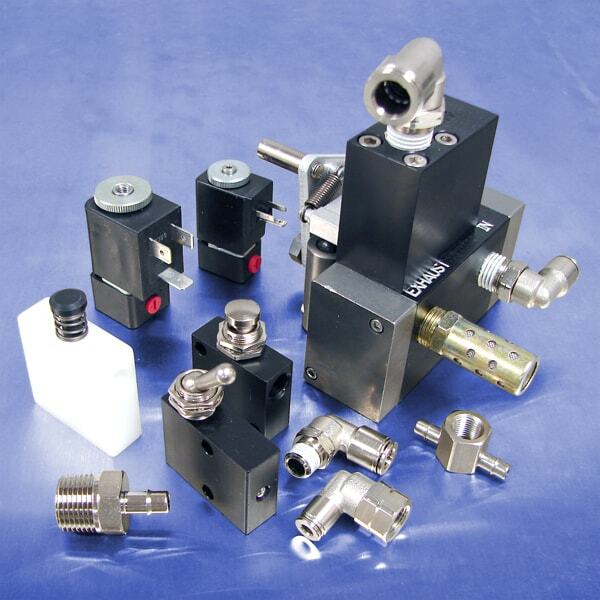 Our solenoid valves feature several voltage, connector and flow rate options to accommodate application specifications. These standard pneumatic components are featured below, however, our entire product offering is available by clicking on the top navigation (in the gray bar).